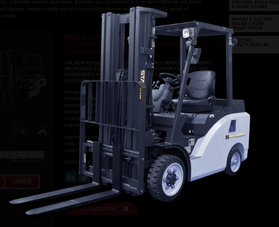 We, the management of Sams Lift Truck Service, have over 43 years of experience in providing quality lift truck service, and parts for our neighbours in the Greater Toronto area. We are pleased to provide fast, efficient and courteous service to our customers. Our mobile service vehicles are equipped with air compressors, parts and tools needed to maintain or repair your equipment. We minimize your company downtime by being proactive during our various programs that are critical to maintaining your forklifts. Most repairs can be carried out at your location. Normally, only major repairs are sent to our fully equipped shop. We do not have issues locating or identifying the parts needed to repair your forklift. Sams Lift Truck Service has had the pleasure of serving many customers over the decades, developing relationships based on trust, quality and level of service. We look forward to the opportunity to show and provide you the level of service we have provided others. Many claim it…We deliver it!